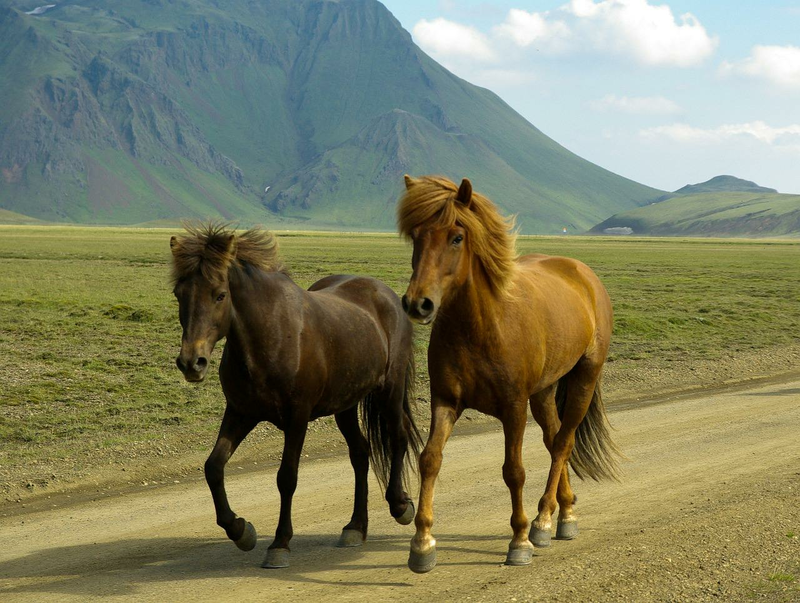 Icelandic horses are not only a national symbol, due to their size, they are very comfortable for riding. In Iceland you will find numerous organised horse-riding tours, which would be probably one of the most memorable memories from your trip! Don't worry if you are not an experience horse rider, many companies would offer tours for all levels of proficiency. Also they would help to plan your trip and give valuable advice. The great advantage of riding a horse is that you can access the places that otherwise would be impossible to visit. It also adds to the magic experience to ride in such breathtaking landscapes with lavas, mountains or hot springs around you. It might sound surprising at first but there are also winter tours, so you will have a chance to ride a horse in a extreme winter environment. That would make the whole trip more exciting and unique. Winer tours will give chance to ride on ice and off tracks, so you will be able to enjoy almost untouched striking Icelandic nature. Other trips might be interesting for those who like to explore the geology of the region. Riding from well-known Geysir area towards ancient open air parliament Þingvellir, will make you feel as a Viking and on the way you will one of the most beautiful landscapes in the country. Riding a horse is not only a enjoyable way to explore Iceland, it also helps you to get back to nature. We are certain, that it is a perfect way to spend your time in the country!